Doxpop - Tools for Attorneys and Public Information Researchers: Lawrence County, IN Recorder's Office now online! Lawrence County, IN Recorder's Office now online! Doxpop is delighted to announce the addition of the Lawrence County Recorder to our online public access services! 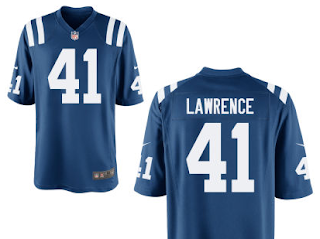 A big welcome to the newest member of our team, #41 Lawrence County! The Lawrence County Recorder's Office has chosen our online services to supplement their public access offerings. In addition to the access provided in their office, records will now be available online 24/7 through Doxpop. Document images and an index searchable by name, date, legal description, and many other details are available back to December 1994. The Recorder's staff is working to provide indices beyond that date to link up the additional older scanned document images. The copy fees collected through Doxpop are remitted back to the Recorder's Office to provide the funds to preserve and perpetuate their records, as well as to fund additional digitization efforts. Anyone wishing to look up recorded documents on-line may visit www.doxpop.com to use the service. A low-volume search plan is available for free, with higher-volume subscriptions available to commercial users for a fee. Confirmation section added to e-filing.